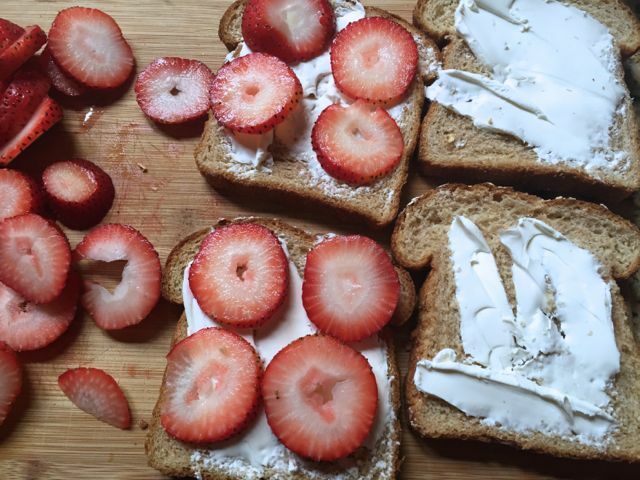 This easy breakfast ideas post and GIVEAWAY is sponsored by Arnold Bread. All opinions expressed are 100% our own. I love the abundance of strawberries this time of year. 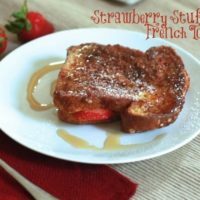 What better way to showcase them in breakfast ideas such as this strawberry stuffed french toast recipe. 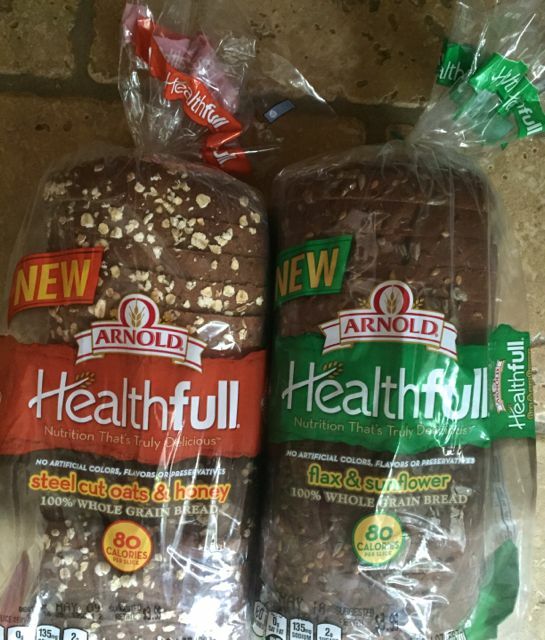 However, since swim suit season is quickly approaching we will be swapping our regular bread with new Arnold® Healthfull® Bread! Made with 100 percent whole grain flour, no artificial colors, flavors or preservatives, and just 80 calories. You can find them in varieties of Flax & Sunflower, Nuts & Seeds, Steel Cut Oats & Honey. Perfect to add a little extra nutrition into your breakfast. To make this easy breakfast idea of Strawberry Stuffed French Toast simply spread a thin layer of Cream Cheese, we used low fat, onto 2 pieces of Arnold® Healthfull® Bread. Layer one side with thinly sliced strawberries. In one bowl mix 2 eggs and milk and beat well. In a second bowl mix 3/4 cup sugar to 1/4 cup cinnamon. First dip the sandwich into the egg mixture. Then place in the bowl of the cinnamon sugar mixture or you can just sprinkle on each side. Fry it up in a hot non stick pan with melted butter. Serve with some powdered sugar and real maple syrup. 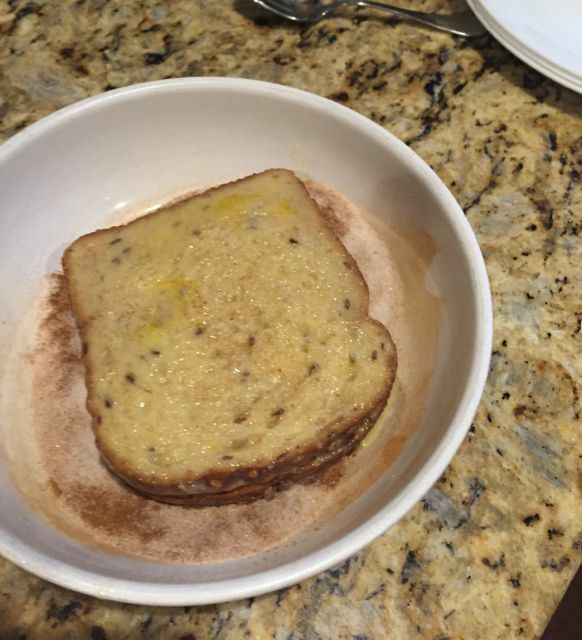 The kids and hubby really liked the combo of this french toast. It is fancy for the weekend, but also makes a simple breakfast idea for a busy school day. Now one of you not only will have the chance to try Arnold® Healthfull® Bread by winning one (1) coupon, valid for $5 off an Arnold® Healthfull® Bread but also win a @ $25 Visa gift card to buy extra ingredients to try your own recipe. Enter the Rafflecopter Below. 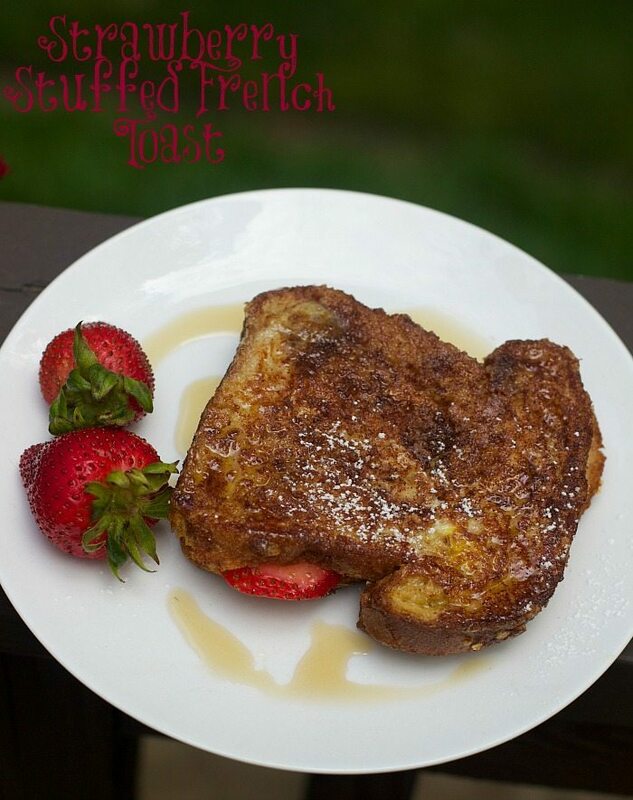 A super easy and healthy breakfast idea of strawberry stuffed French Toast. 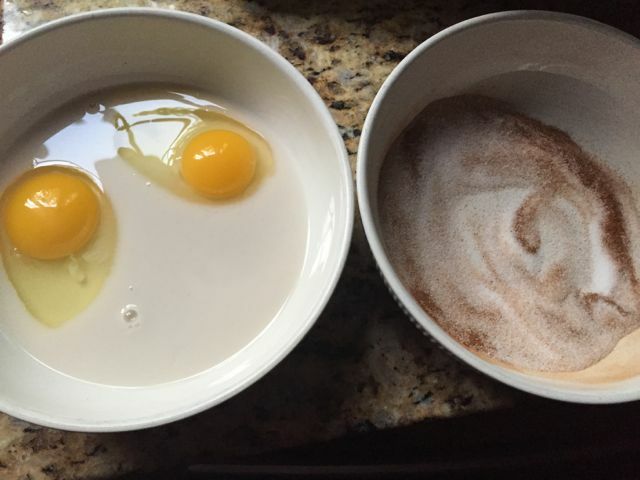 In a small bowl with a flat bottom whisk together milk, eggs, and in second bowl sugar and cinnamon. Spray a skillet with cooking spray or melt butter and warm over medium heat. 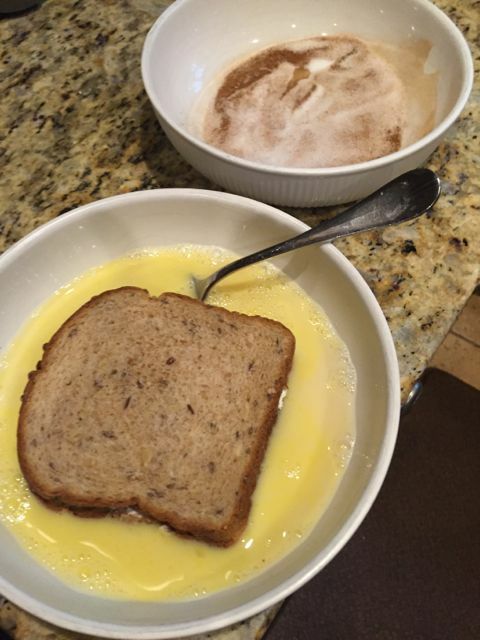 Dip the french toast into the egg and milk mixture, coating both the top and the bottom. Then sprinkle with cinnamon sugar mixture. Drop the french toast in the skillet and cook each side until golden brown, about 2-4 minutes per side. Gently press your finger on top to secure it while the toast is flipped. Serve immediately with powdered sugar and syrup. 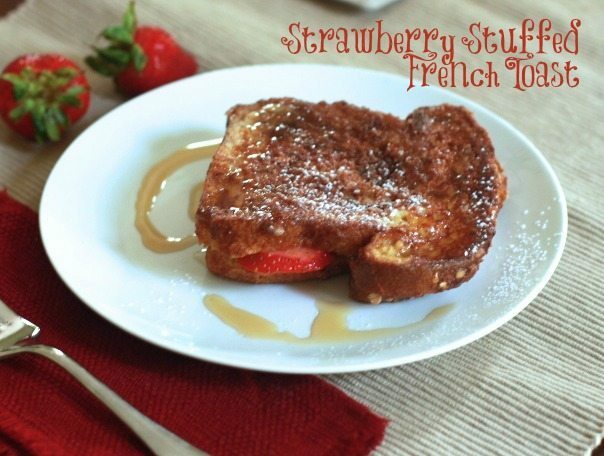 I would make a Turkey sandwich first but certainly anxious to try your strawberry stuffed French toast recipe!! Yummy!!! I would make a ham and cheese sandwich. I would make a sandwich. I would make a tuna sandwich. I’d use it for chicken salad sandwiches. I would love to make bread pudding! The first thing I would make with Arnold bread is one of my favorites – Grilled Cheese with Tomato Sandwich. I would make toast for breakfast! The first thing I would make would be cinnamon toast. I don’t know why, I’ve just been craving it lately. I would like to make an egg casserole. I would make an egg salad sandwich. I’d probably make a BLT for lunch with this bread! I’d make a nice warm grilled cheese! I know that you are talking breakfast, but I’m thinking grilled cheese! That looks so good!! I would love to do a a fancy grilled cheese! This is definitely something on my to make list this weekend. What a tasty breakfast! YUM! The first thing I would make is a BLT – oh yum! I would make a turkey, bacon and avocado sandwich. Strawberry stuffed french toast looks amazing! Going to try it this weekend. My son doesn’t care for French Toast so I hope this changes his mind. I would make grilled cheese first with the new Arnold Bread. I have to admit after seeing this recipe, I must make this! I’m sure what I’ll make after that, though, is a great grilled cheese with fresh tomato and fresh basil! Oh my yes please. I love a good breakfast of french toast. I would make cinnamon sugar bread. I love your Yummy Easy French Toast recipe. I would make my Monte Cristo sandwiches that we love so much!! The first thing I would make with the arnold bread would be toast. My family would be all over this breakfast. I think I have everything I need to make this. Thanks!